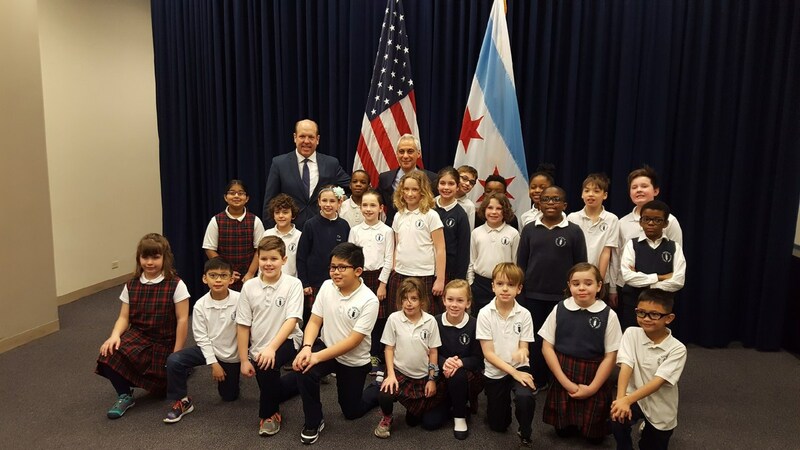 NCA third graders took a special field trip to City Hall. 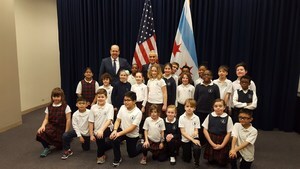 Students met with Ald. Harry Osterman, took a photo with the Mayor, toured City Hall and observed a portion of the City Council meeting. Prior to the field trip, students wrote persuasive essays to Ald. Osterman asking him to change, add or fix certain aspects of the Edgewater community. We are so grateful to Ald. Osterman and his staff for hosting our students again this year! This trip is always such a valuable lesson on service, leadership and civic responsibility!